Tut, tut, what would the Queen say? 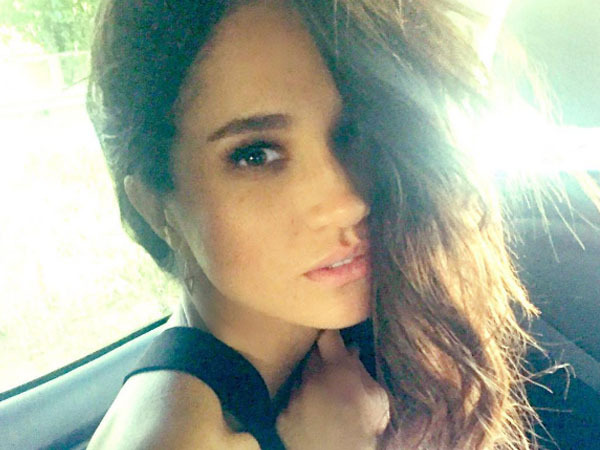 Long before she nailed a lead role in the hit TV series Suits, Prince Harry's girlfriend Meghan Markle had a rather, ahem, risque cameo on CW's reboot of 90210 - a clip of which has now surfaced. In the scene, Markle's character Wendy can be seen getting frisky with Ethan (Dustin Milligan) in a car while parked in the school's parking lot before they are bust by Annie Wilson (Shanae Grimes). The emergence of this clip comes hot on the heels of the beautiful brunette's romantic getaway with the royal to Jamaica to celebrate Harry's best friend Tom ‘Skippy’ Inskip's wedding. The couple was photographed looking happy together as they mingled with guests. The pastor who presided over the ceremony said Harry and Meghan, who've been dating for just over six months, looked "so very much in love" and his parting words to Harry were reportedly "It's your turn next, Sir." Meghan has since returned to her native Toronto where Suits is filmed and where she lives, while Harry has also since returned to London to pick up his official duties.